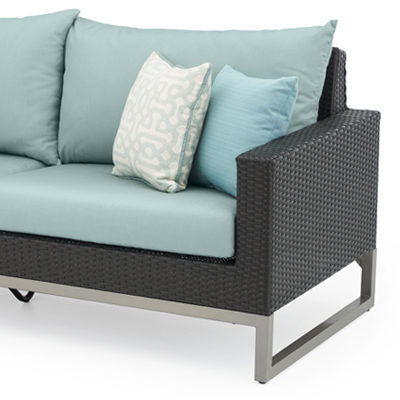 The Milo Collection takes a classic style of outdoor chaise lounges and adds a modern twist with exposed, powder-coated aluminum legs, paired with durable designer Sunbrella® fabric mattresses. 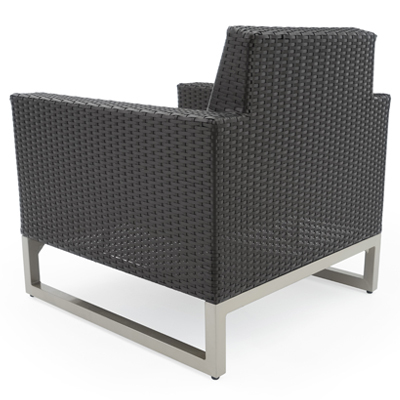 The backrest can be easily adjusted at five different angles to provide a lounging experience that truly lets you unwind. Plus, to make storage easy, the loungers can be stacked on top of each other. 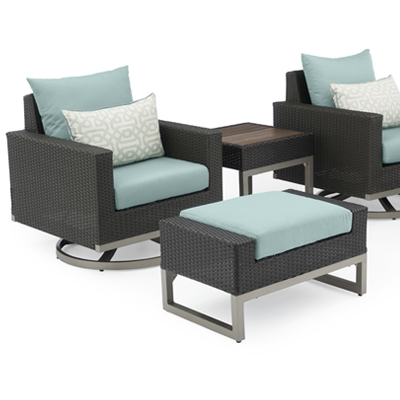 Kit features two chaise lounge chairs with Sunbrella® wrapped mattresses. Durable mattress is water-resistant, fade-resistant, and includes Velcro straps to attach to the frame. Frame is constructed with high quality, powder-coated aluminum, which is lightweight and lasts for years of durability. Loungers can be stacked on top of each other for easy storage. Easy to clean and maintain with mild soap and water. 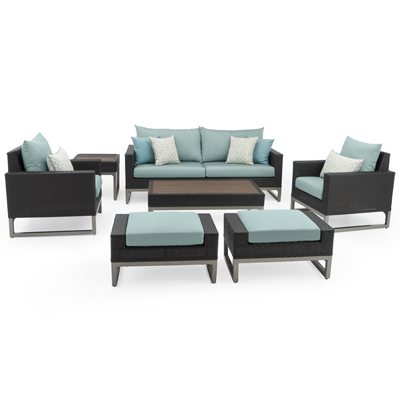 Loungers come fully assembled upon delivery. Designed to coordinate with the pieces in the Milo Collection by RST Brands®.